Approaching the archeological site before you reach you will cross a bridge over the Cladeus river. The riverbed remains dry for the most of the year now but in the ancient times it was one of Olympiads vital river. 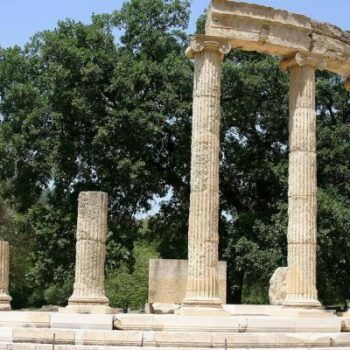 Inside the archaeological site important buildings can be found such as: the Roman portico, the Prytaneion the Philippieion, Iraio where the statue of Hermes of Praxiteles was found, the Pelopeio, Nimfeo, the Registry, and below the stage, the gallery of Echo. You enter the sanctuary on the north site and proceed along the length of Gymnasium which has not yet been uncovered in its entirety. 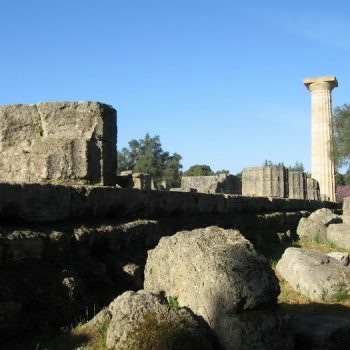 The southeast section of the site that contained the Hipodroome has been washed away by the waters of the Alpheios river. 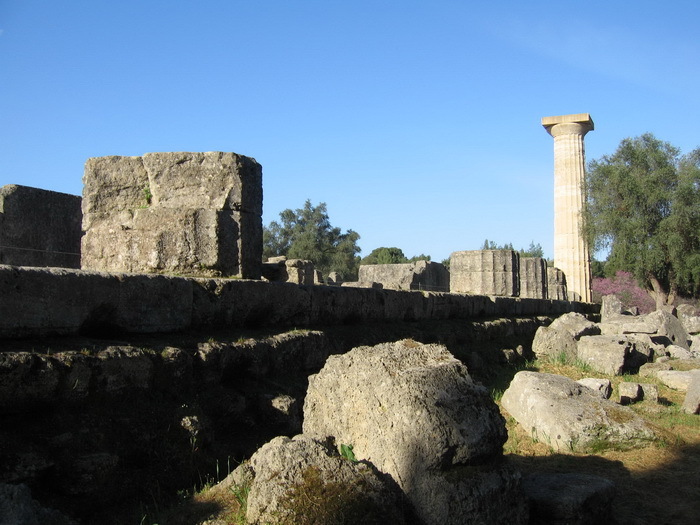 Excavation began to Olympia in the 19th century, but continue to the day. 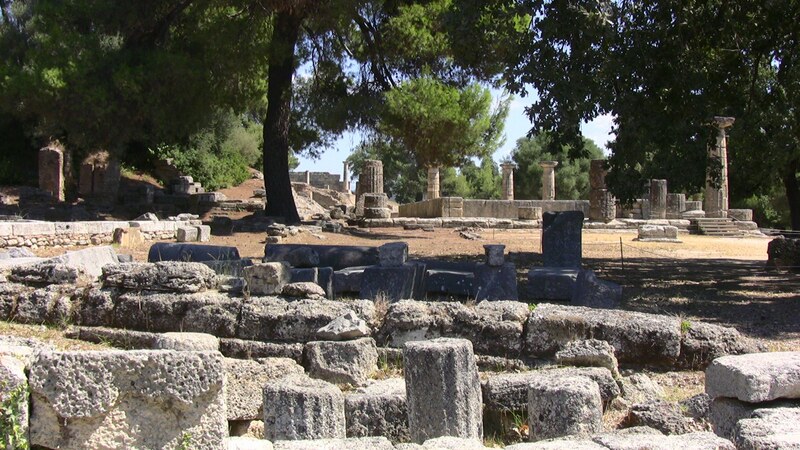 Olympia Greece was the site of the ancient Olympic Games, which were celebrated every four years by the Greeks. 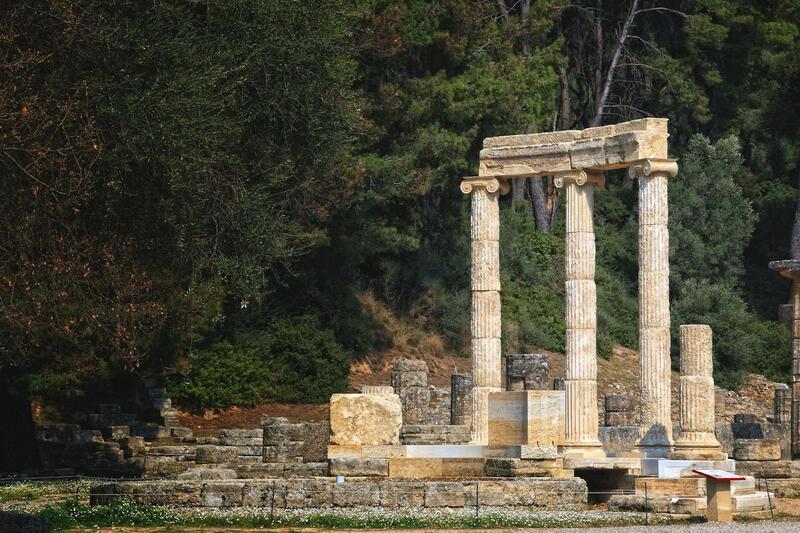 Olympia was situated in a valley in western Peloponnese through which run the Alpheios River. 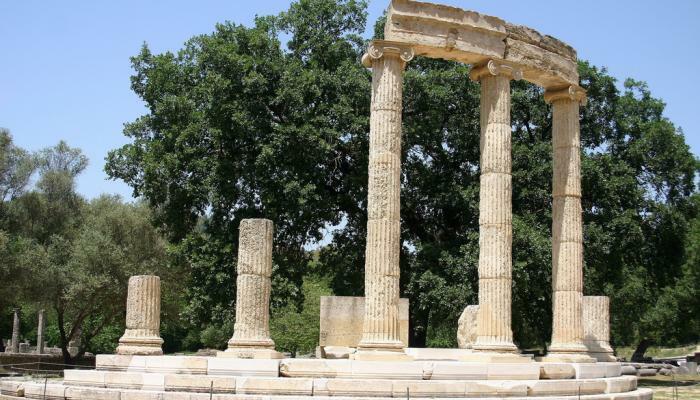 The most celebrated temple was the Temple of Zeus dedicated to the father of gods. 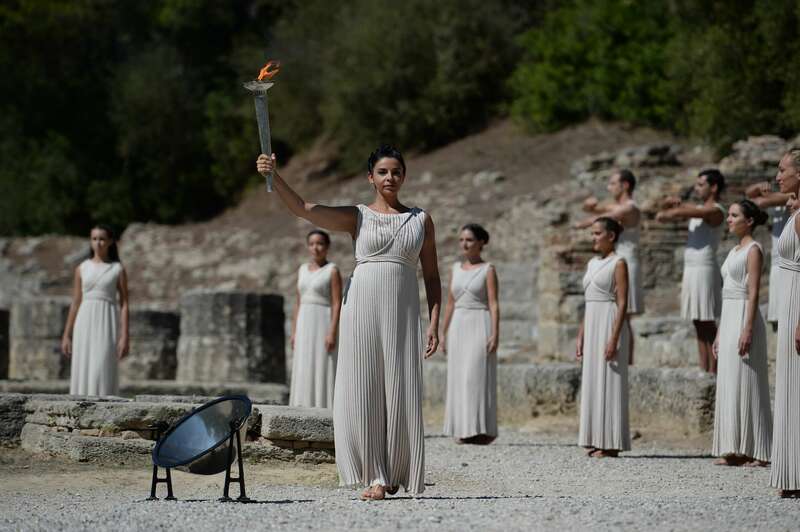 Even today every 4 years the Olympic flame always starts from the place of birth of the Olympic Games. 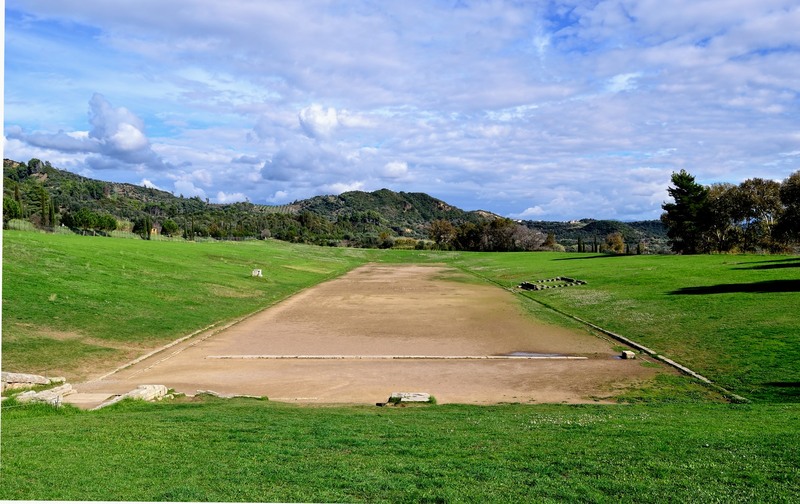 In 2004 the ancient stadium of Olympia relived its former glory since it hosted the shot put event of the Athens Olympic Games. 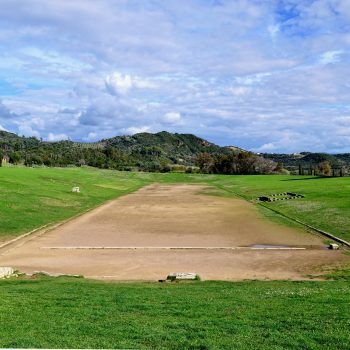 The stadium racetrack is 192 metres on the foot of Mount Kronios. 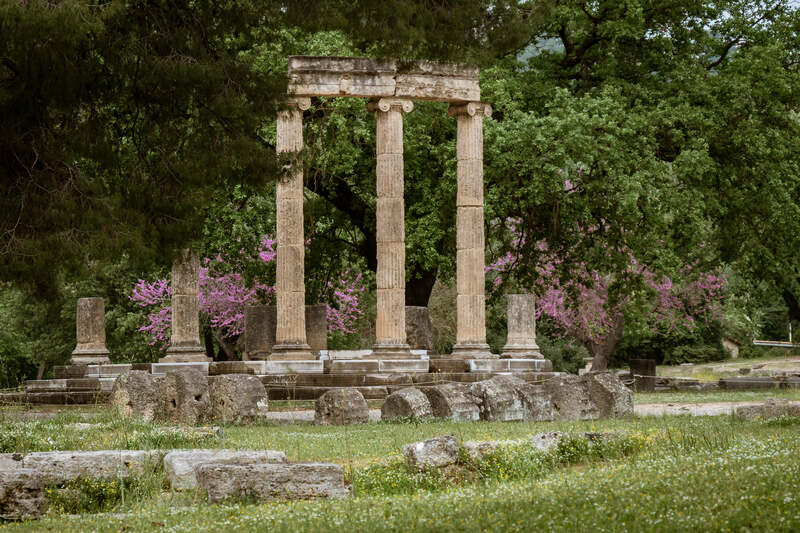 In the sacred site of Ancient Olympia, you have the opportunity to learn about the history of the ancient Olympic Games and visit the sports facilities and training of the ancient Greek world. In the entrance area there can be found water fountains, but especially during the summer months, it is essentially to carry with you hats and cool water which can be found also in the local market of the new Olympia village. 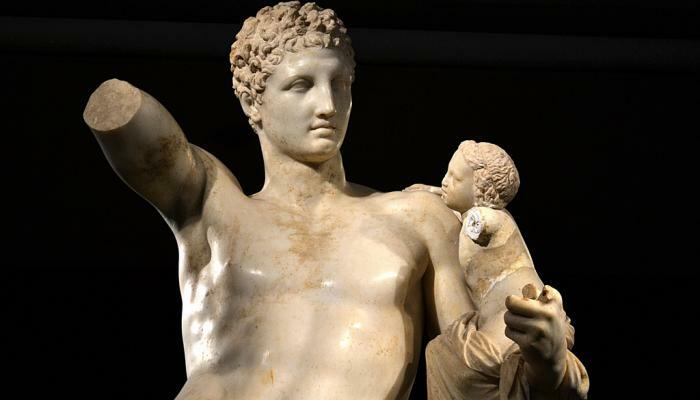 The archaeological museum of Olympia is one of the most important museums in Greece and presents the long history of the most celebrated sanctuary of antiquity, the sanctuary of Zeus father of both gods and men, where the Olympic Games were born. The museum building comprises exhibition rooms, auxiliary spaces and storerooms. 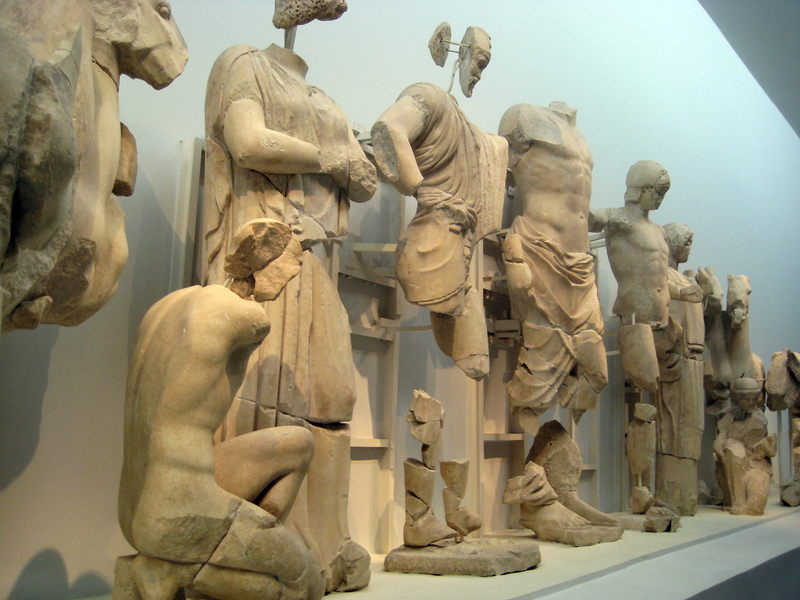 The vestibule and twelve exhibition rooms contain objects excavated in the Altis. 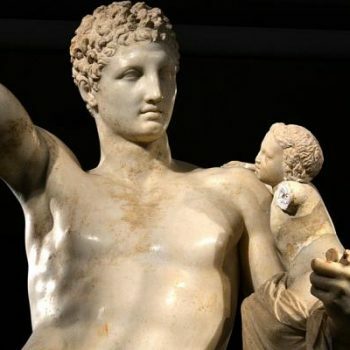 The archaeological museum of Olympia supervised by the seventh Ephorate of Prehistoric and Classical Antiquities was reorganized in 2004 to meet modern museological standards.The archeological museum, was built opposite the excavation site in a valley northwest of the kronion hill and officially opened in 1982. 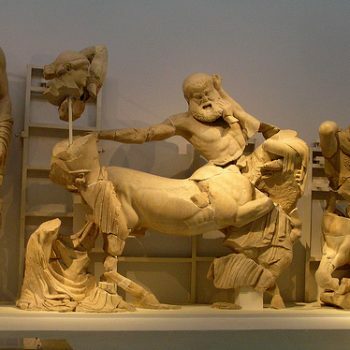 Except for the central hall, devoted solely to the pediment and metopesculpture from the Temple of Zeus at Olympia, and the corner rooms dedicated to the games. 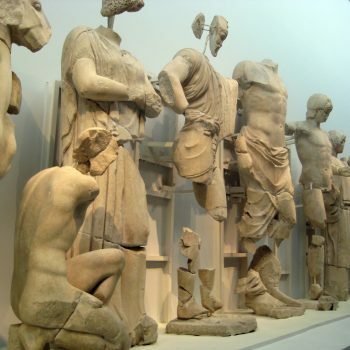 The exhibit galleries are arranged chronologically, proceeding clockwise from the entrance hall from prehistory, the classical period to the Roman. 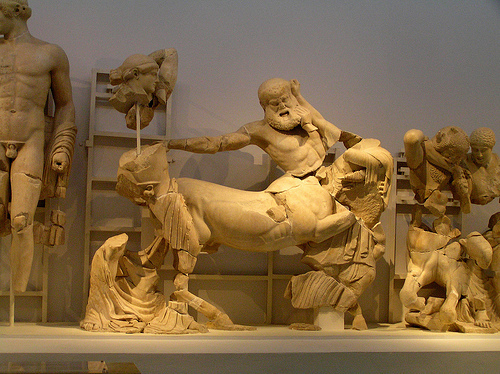 The Museum of Ancient Olympia hosts exhibits which cover a wide chronological range. 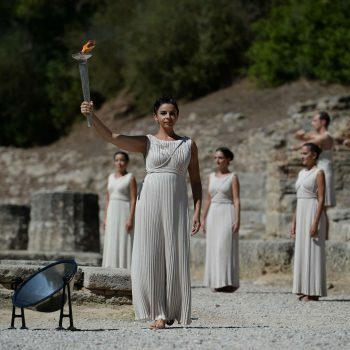 Ancient antiques exposed in thematic units and through them yperchilietis shows the history of the Olympic games, the longest ancient institution. 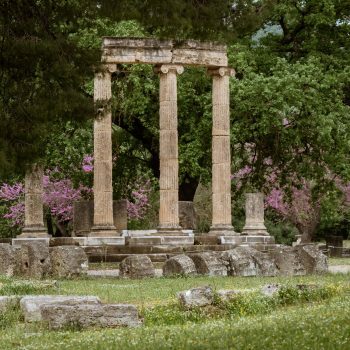 Visitors can get very detailed information through the rich visual material make visiting a museum in Ancient Olympia an enjoyable family event.